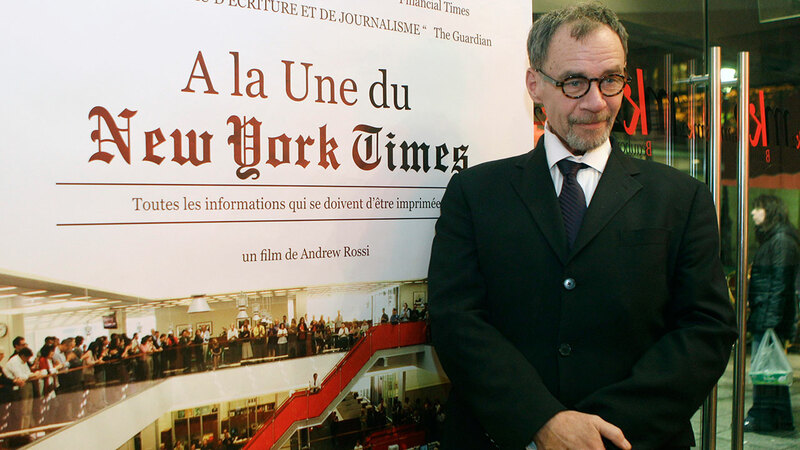 NEW YORK -- New York Times media columnist David Carr died of complications from metastatic lung cancer, according to autopsy results released Saturday. Julie Bolcer, a spokeswoman for the New York City medical examiner's office, said the autopsy shows heart disease also contributed to his death. Carr, 58, collapsed at the newspaper's headquarters and died on Thursday. He wrote the newspaper's Media Equation column and penned a memoir about his fight with drug addiction. He was lauded as "the finest media reporter of his generation" by Times' Executive Editor Dean Baquet. Carr's 2008 memoir "The Night of the Gun" traces his rise from cocaine addict to single dad raising twin girls to sobered-up media columnist for the Times. The book also detailed his life as a cancer patient as he battled Hodgkin's lymphoma. A spokeswoman for the Times declined to comment on whether Carr's illness was known at the newspaper.